American-raised wagyu beef is an interesting and relatively new offering to the meat market. Farmers and ranchers are now raising wagyu-grade beef domestically in the USA. 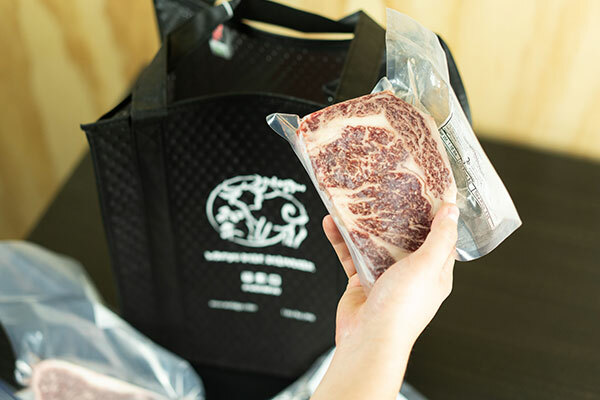 Growing specific breeds of cattle that the Japanese have been enjoying for many years is becoming more popular because customers are embracing the luxurious taste and quality of these offerings. Wodagyu grows Tajima Black cattle, which is the only breed that is certified as Japanese Kobe beef. The beef has significant degrees of marbling that is immediately visible and aesthetically jaw-dropping the first time you set your eyes on the beef. The cattle are grass- and grain-fed, supplemented with a specially formulated grain feed for 180-200 days in a natural environment. Once harvested, the beef is dry aged for 21 days that further intensifies the flavor and tenderness of the beef before it becomes available for purchase. Wodagyu’s website is simple to navigate and easy to use. At the moment, offerings include bundled samplers or boxes that feature a good selection of popular items, which customers often order together. For someone who prefers to curate their own selections or order a la carte, Wodagyu has a wide variety of steaks—including a few typically not found at your local supermarket. 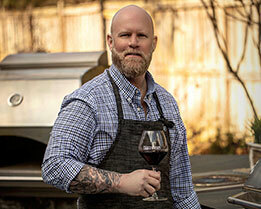 Roasts, ribs, brisket, and some interesting specialty items round out the offerings. The shipping process was clean and hassle free. Once the order was placed, we received a notification with tracking information. The box arrived on schedule a few days later. It arrived in an inconspicuous cardboard box. Inside, there was a thick cube layer of insulation conforming to the shape of the box with a flap that opened easily to reveal the contents. 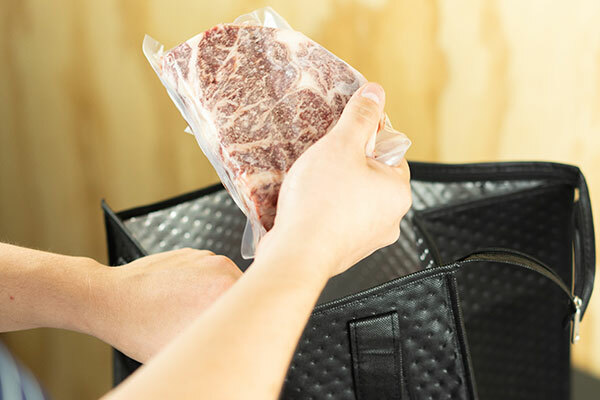 The meat was nestled in a durable, reusable insulated bag that was branded and worth saving for another use. 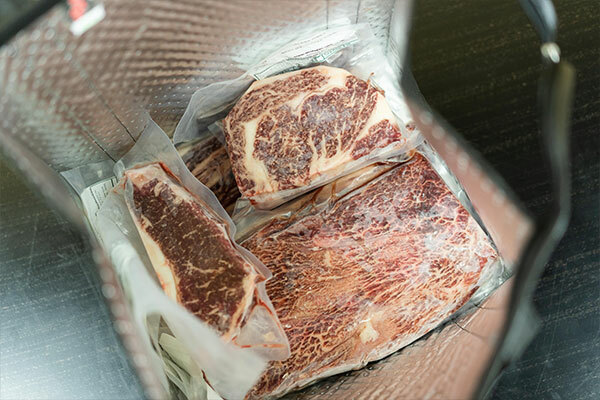 The meat arrived frozen solid and vacuum sealed in a thick bag that feels sturdier than the food sealer bags commonly available at stores. There were no signs of any of the items softening or beginning to defrost during transit. There are a dozen single cuts of steak—including some of the common favorites like the New York Strip Steak, filet mignon, boneless and bone-in tomahawk ribeye steaks, and top sirloin. Wodagyu also boasts some less common cuts of steak that are equally as delicious and well worth a try. Some examples of cuts include wagyu flat iron steak, Denver steak, wagyu tri-tip, Bavette, and chuck eye steak. One thing we found particularly interesting was that Wodagyu dedicated a section on the website for specialty items. These offerings are cuts of beef that would be hard to find in most supermarkets. wagyu tongue, oxtail, bone marrow, beef shank, and wagyu liver were all available for purchase. We tried the New York strip steak, the wagyu flat iron steak, and the flanken cut short ribs. We loved that the meats required no trimming or other modifications prior to cooking. Often beef can have silver skin attached in certain areas that can be chewy and is best removed. We saw no evidence of this. The flanken cut short ribs had no evidence of bone fragments and were cut to a uniform thickness. Although each of the cuts are different, they were seasoned and prepared simply with a dry brine of Himalayan salt to allow the true flavors to be sampled. The meat sat at room temperature for an hour prior to cooking and was grilled based on best practices for each of the cuts. Six different people with a variety of food preferences came to the same conclusions when tasting the meats: The flavors were intense, and there was no evidence of gamey tastes or nuances. All of the offerings were incredibly tender and had a wonderful mouth-feel, which was silky but not overly greasy or oily. The beef was the star of the show and any accompanying grilled vegetables or side salads were for the most part forgotten about. The meats were defrosted in the refrigerator for 48 hours. Of the five packages we cooked, the seal on one packaged released during the defrosting process. 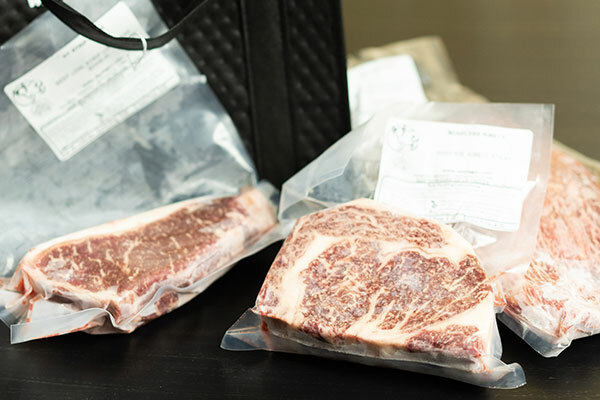 This did not affect the flavor of the meat or the quality of the experience, but if the meat was going to be sous vide cooked we recommend re-packaging it prior to immersing it in the water bath. Quality wagyu beef like this is often considered only for special occasions. However, there is something about this beef that made us all want to work with it on a more regular basis. The protein is delicious and satisfying, but does not leave you feeling sluggish or reaching for a palate cleanser after the meal. Often people get sticker shock when ordering artisan craft beef. After sampling and serving Wodagyu, we concluded that this product is an excellent value for this quality of beef. The entire experience is premium. A meal with Wodagyu proteins is something you and your guests will talk about and compare other meals against for months to come. TIP: Wagyu beef is expensive, but we can help you out with that. Use the code GRILLSEEKER when shopping on Wodagyu for 20% off the entire order.